Nestled in the heart of Big Cove Tannery, the Humbert farm has been in the family for over 150 years. Dale and Cheryl built their home here in 1978. Dale's father, Tom (aka T.O. ), always plants a row of sunflowers in the garden above the road, by the original farmhouse. The Humbert's have always had dogs and cats. Their most recent golden retriever was named Scout. 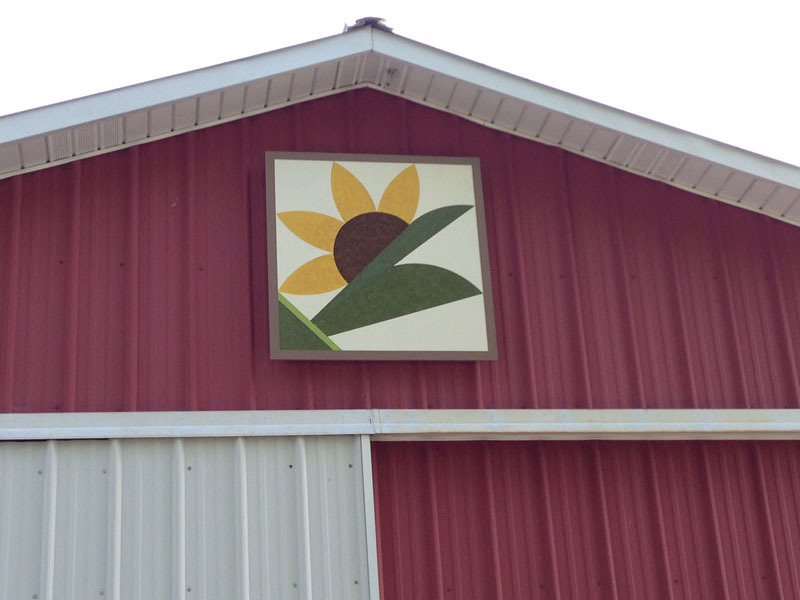 So to honor a Humbert tradition, they have chosen Scout's Sunflower as their barn quilt.